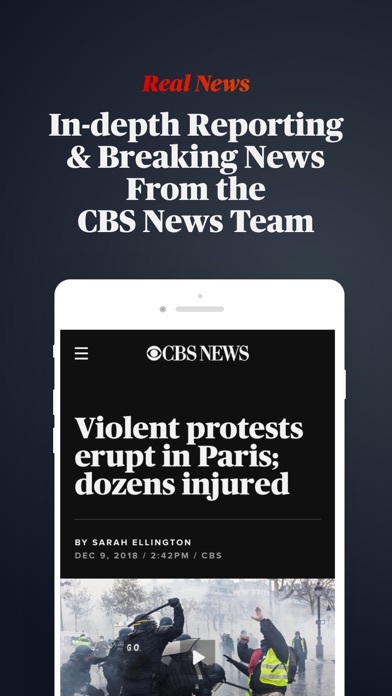 The new and improved CBS News app features a fresh design, creating a seamless navigation and content discovery experience. 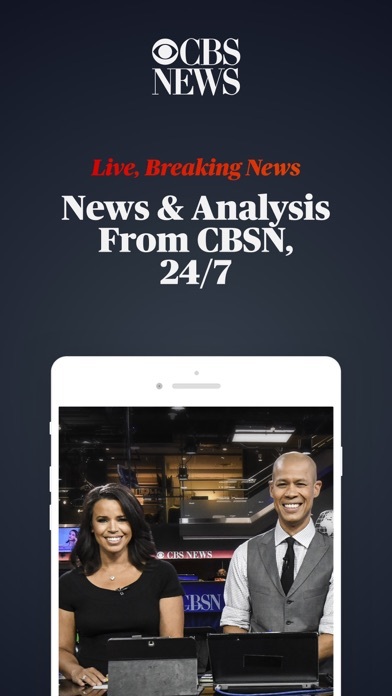 Stream FREE live coverage from CBSN, ET Live, CBS Sports HQ, and CBSN New York in the dedicated live stream section, and stay up to date with breaking news and the latest developing stories from around the world. 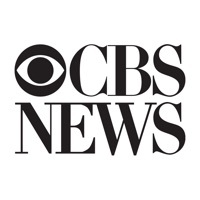 With the CBS News app, you can: • Watch CBSN, a 24/7 live news stream from CBS News. CBSN has live anchored coverage, original reporting, and breaking news. No cable subscription required. • Get real-time updates of evolving and breaking news stories throughout the day. • Use on-demand to view past segments on topics that interest you the most. • Receive breaking news push notifications. • View the latest business headlines and market info from CBS MoneyWatch. • Share interesting stories with your friends and family via email, Facebook, YouTube, Twitter and Instagram. 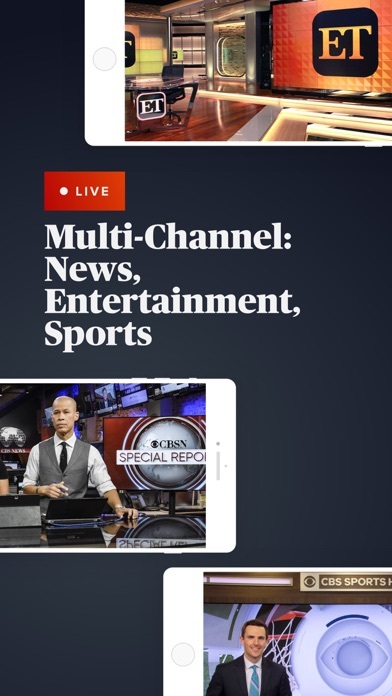 New features: • Stream live coverage from CBS Sports HQ, ET Live, and CBSN New York in the dedicated live stream section • Dynamic font size for an improved user experience • Airplay capabilities • iPad only- picture in picture • iPad only- split screen capabilities for multitasking Additionally, CBSN delivers original content, including the daily shows "Red & Blue" and “CBSN AM”, as well as regular documentary features from CBSN Originals. Watch live or use on-demand to stream past segments on topics that interest you the most. You will also get on-demand video clips and full segments from CBS Evening News, CBS This Morning, 60 Minutes, 48 Hours, Sunday Morning, and Face the Nation. 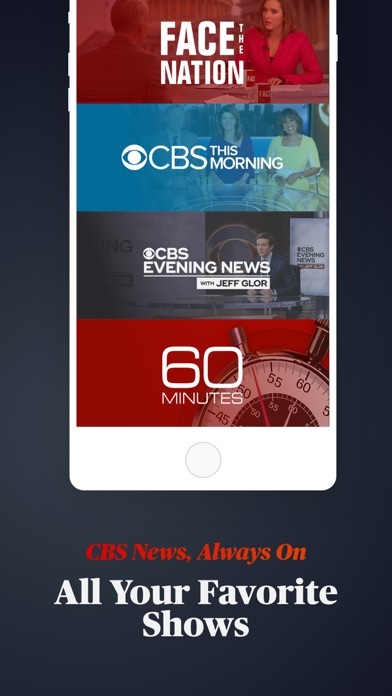 With updates throughout the day, the CBS News app is your one-stop source for comprehensive original reporting, new videos and commentary from respected journalists.